In Understanding by Design, Wiggins and McTighe emphasize that the Big Ideas of a course are the most “important and enduring” ideas of an area of study. 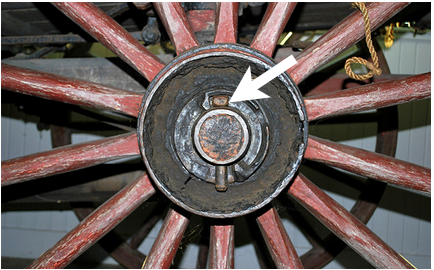 They also refer to these as linchpin ideas – “the linchpin is the pin that keeps the wheel in place on an axle. Thus, a linchpin idea is the one that is essential for understanding, without which students cannot go anywhere” (p. 339). From reading scores of research articles, talking with teachers from all over the world about flipped teaching, and visiting many different flipped class venues, here’s my take, albeit deeply informed by others, on 6 linchpin ideas for flipped classrooms. Of course, these are not the only big ideas, but I think they are 6 cornerstones of understanding. 1. A flipped classroom is a mindset*, not a prescriptive instructional technique. 2. There are many ways to flip a class, and no one right way. 3. You don’t have to flip an entire course from start to finish, you can do it with one concept, topic, or unit. 4. Transitioning from lecture-based learning to flipped learning may be difficult for many students–just because you are going digital does not mean they will automatically love it. 5. Flipping your class is much more than putting videos up online, it’s about changing the very nature of how students learn. *Bergmann and Sams, Flip your Classroom, 2012. Missing one? Please add in the comment section.